As an M7 fleet driver, your earning potential is unlimited! M7 drivers are independent contractors. Enjoy a flexible schedule with an average income of $50K as a full-time driver plus a company car. Your customer service skills are the key to your success. We provide you with account work and a strong Driver Services Team to support you every inch of the way. Each vehicle is equipped with a state-of-the-art mobile devices providing drivers with peak business hours and business opportunities, as well as your personal analytics, measuring earnings and jobs. 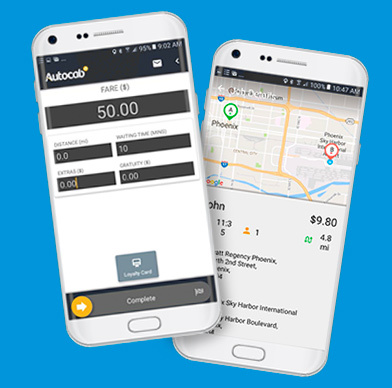 Our M7 App, the most advanced in the market, appeals to both first time and app-savvy users alike, continually steering customers directly to you. M7 uses a GPS cloud-based system to dispatch trips in the quickest way possible, choosing the shortest routes based on real-time traffic and weather.